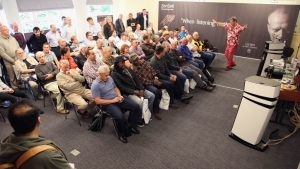 Audio World Channel Islands continues in its quest to bring the pleasures of High End Audio to new markets via its highly regarded Road Show - Audio World. Here you can see and hear some of the very latest Audio products from around the world taking in both existing, new and emerging technologies; everything from the headphones to Hi-Res digital downloading. Prepare to be amazed at how good sound quality reproduction has become. Audio World Channel Islands will be held at the Radisson Blu Waterfront Hotel in Jersey, from October 11th - 12th 2014. 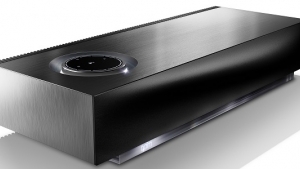 NAIM to showcase the brand new Mu-So Wireless system this weekend! 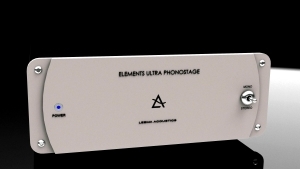 Look out for the Libra DAC supporting 24bit/192kHz, DSD and DXD, the Elements Ultra Phono featuring comprehensive electrical matching, the 200W Pulse IV integrated amplifier and the Stream IV, CD player/streamer. Many people have asked for an LP version of Chasing the Dragon. Not only has Mike produced this, but he has also just finished pressing two other new LPâ€™s, one is a Direct Cut of Vivaldiâ€™s Four Seasons and the other a 12â€ 45 RPM of a live concert recording.